Have you ever watched the Alfred Hitchcock film the Birds and wondered what would it be really like if birds acted together – as a collective, planned and took over the world? Terrifying! Correct? Well it looks like that crows can plan ahead – not to the point of taking over the world. New research from the University of Auckland the University of Cambridge and the Max Planck Institute for the Science of Human History, shows that crows are able to plan three behaviours in advance when working towards a goal, similar to the way humans plan future moves in chess. The research has shown the first conclusive evidence that birds have the ability to plan while using tools by working with New Caledonian crows. 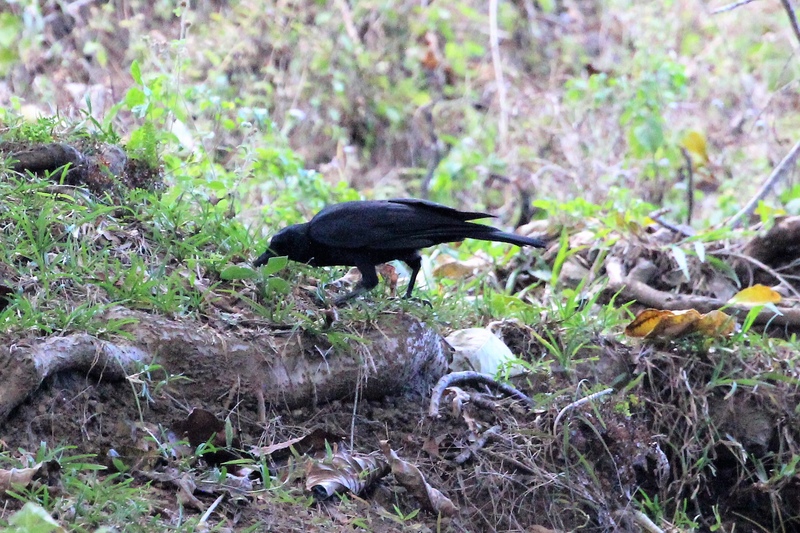 New Caledonian crows are already known for their tool-making and problem solving abilities. To prove that crows were planning ahead, researchers set up problems to determine if the crows were solving the task on a moment-to-moment basis or were truly planning out a sequence of behaviours before they took on the task. In one problem crows had to use a short stick to push a stone from a tube, and then drop this stone onto a platform to release a piece of meat. They had to do this while ignoring a long stick in a tube, as the long stick did not work in the platform. To make the problem even harder, and ensure the crows were truly planning, only one stage of the problem could be viewed at a time. This meant the crows had to remember where the stone, long stick and meat were and use this information to plan out the correct sequence for a solution. Dr Alex Taylor, also from the University of Auckland, says the study contributes significantly to our knowledge of how widespread planning with tools is across the animal kingdom.